“Can I add debt collector fees to my debt?”. “If the debtor doesn’t pay for my goods, can I go and seize them?”. Ever wanted to ask a lawyer these questions and ones like them? I have, and I did! 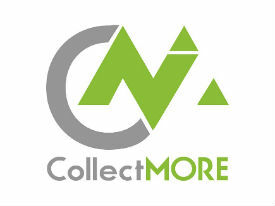 Folks, without further adieu here are answers to the top 5 most asked questions we get as a debt collection agency. Thank you to Luke Gunthorpe of Stratos Legal in Brisbane for taking the time to answer these and I hope they help you all. 1. Can I add my debt collectors fees to my debt? Provided you have an agreement with the debtor to this effect, yes you can. The best way to cover yourself is to have a signed agreement allowing it. It’s worthwhile seeing a lawyer and investing in (at least) a basic terms of trade document to cover off on issues such as this. 2. What about late fees, if I have a clause on my invoice, can I charge them? As with debt collection costs you can recover them provided there is an agreement which permits it and provided the late fees are not a penalty and therefore unenforceable. One of the things a Court will consider when deciding if a fee is a penalty is whether they are out of all proportion to the loss suffered by the creditor. 3. My customer promised to pay my invoice, but is now refusing to pay claiming there are issues with the job that they have never raised before. Does his promise to pay negate any dispute or relinquish his rights to query the bill? A promise to pay does not prevent a debtor from later disputing the debt. It would seem to follow that if someone disputed a debt they’d let you know straight away rather than promising to pay but there are a number of reasons this could happen. It is certainly something you would point to in arguing your position and may prove quite compelling but it’s not conclusive. 4. Is a verbal contract legally binding? Only the sale of real property must be in writing to be binding. Otherwise, yes, provided there is an agreement (offer and acceptance), intention to create binding legal relations and consideration, a binding contract will exist. As you will appreciate it’s a bit harder to prove and it is therefore recommended that agreements should be put in writing where ever possible so that everyone is clear about their rights and obligations. 5. My customer hasn’t paid for the goods, can I go and repossess them? Only if you have a properly registered PPSR security interest and terms and conditions (preferably signed) to the effect that title in the goods does not pass to the debtor until the goods have been paid for. Entering the debtor’s premises to retrieve the goods in any other circumstances may be deemed trespassing. 6. Does making a part payment towards an invoice negate any subsequent claims of a dispute? Unfortunately not. It can certainly be taken into account and may make it harder for the debtor to convince a court that there is genuinely a dispute and that it is not a recent invention, but it does not necessarily prevent someone disputing the unpaid portion of the debt or even the paid portion. In some instances a debtor may prefer to pay a disputed debt and then pursue the creditor for recovery of the disputed debt, rather than not pay and be pursued for it. If this were to occur though the debtor would ordinarily note that they are paying the money under protest to make it clear that they do not agree the debt is owing because, as mentioned, it may be taken into consideration and work against them otherwise. Disclaimer: The above is intended only to provide a summary and general overview. It is not intended to be comprehensive nor does it constitute legal advice. We attempt to ensure that the Content is current but we do not guarantee its currency. You should seek legal or other professional advice before acting or relying on any of the Content.